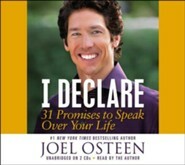 Buy 10 or more for $15.19 each. Are you speaking defeat into your future by talking negatively? Before you utter another word, reach for this book! 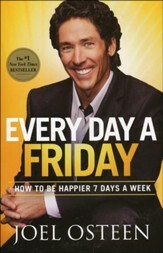 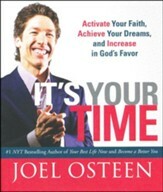 Assuring you that positive verbalization can foster a victorious attitude, Joel Osteen offers 31 daily "declarations" affirming God's providence in family matters, health, decision making, and more. 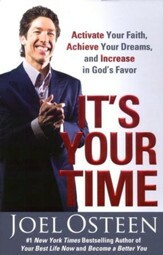 Transform your future by blessing it - one day at a time! Based on a regular, favorite feature of Joel Osteen's sermons, I DECLARE helps readers claim God's blessings for their lives. Broken into thirty-one segments, this book defines the most powerful blessings in Scripture and encourages readers to declare one each day for a month. 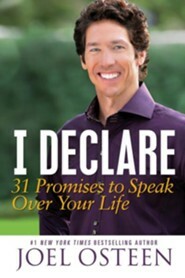 The declarations will affirm God's blessings in the area of health, family legacy, decisions, finances, thoughts, outlook, and overcoming obstacles. 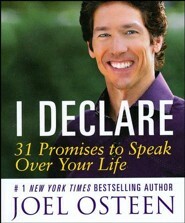 I'm the author/artist and I want to review I Declare: 31 Promises to Speak Over Your Life.